Cecily's Fund was delighted to receive the in-kind grant of five Little Reader kits including software, teacher guides and curriculum materials. This has made a significant contribution to the start up of the early childhood development project at BISO: Bwafwano Integrated Services Organisation near Lusaka, Zambia. Cecily's Fund has worked with BISO since 2003. A high proportion of single and double orphans in the local compound report low literacy rates, in addition to low educational achievement amongst caregivers. Early childhood development education is in high demand to help extended families support developmental milestones amongst highly vulnerable orphans and children. In 2012 Founding Futures was launched: a campaign to establish BISO as a center of excellence in early childhood development. This will enable 280 children aged 0-6 years to access high quality Early Years provision, per year as well as parenting classes for 280 community members. This report highlights the progress to date with this initiative. It is still early days in the improvement of the BISO Early Years program but already there have still been significant advances. Five Little Reader educational systems have been received BISO and an independent Early Years expert has undertaken one week of training in the approach with community members who will act as Group Leaders. These women have started to form eight Founding Futures Group in the local community. In addition, staff at the Pre School at BISO have been inducted into the system. Staff are now waiting on the delivery of donated computers so that they can adapt the kits with local pictures and languages. "There is significant demand for Early Childhood Education (ECDE) and need to advocate for resources on behalf of the community to enable young vulnerable children of Chazanga to stay within their families and have a stable, consistent relationship with primary caregivers… (we are starting to) provide any additional support needed for caregivers to continue to serve as the frontline providers of care and support to their children." 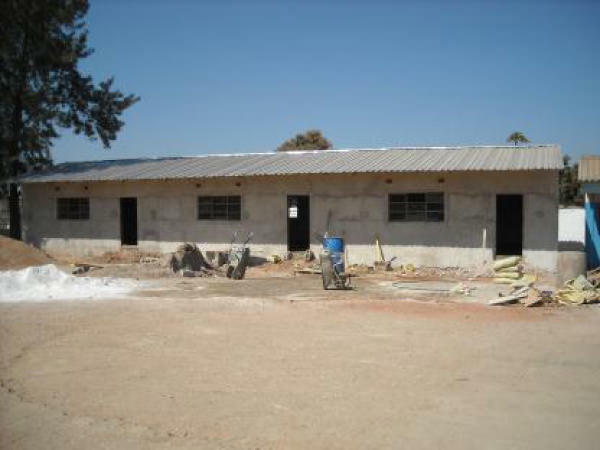 Work on the new pre-school block is nearly completed and there are plans to decorate the internal and exterior wall with colourful decorations and paintings of alphabets, numbers and animals. Floor games will be included outside so that children can sit outside and play in the shade, whilst developing their learning skills. Play materials will be included both inside and outside sourced from local suppliers. Founding Futures Clubs will be supplied with educational toy bags for when they visit homes, to supplement the Little Reader kits. "When heard about the ECDE program we were excited such that we came up with a group which consists of parents and guardians. We developed a time–table of which parents would come to clean the ECDE-center from Monday to Friday. This will also involve making toys for our children at the center. This support makes all the difference to our community, coming at a critical point of need. Without it our children would not have accessed education." "I have been keeping these children at home. When I heard about the Early Childhood Development Center opened by BISO I brought them to the center for enrolment because they used to roam around the community aimlessly." Mr Mugwagwa believes that the early years provision come at a critical point. 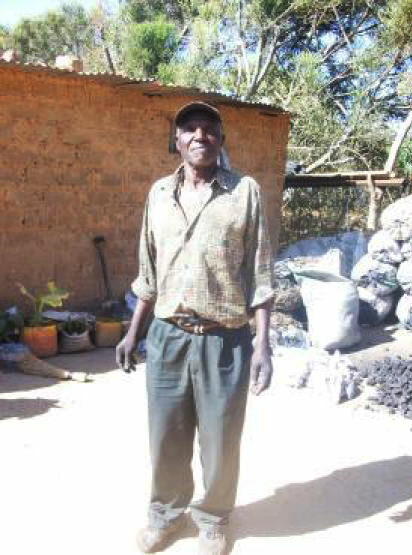 Without it he believes his granddaughter would not have accessed the education, which would have limited her development and future potential. Cecily's Fund, our Zambian partner BISO, and above all the young orphans and vulnerable children of Zambia who are better equipped to lead a healthy and fulfilling life as a direct result of your generosity, would like to extend our sincere and heartfelt thanks to Brill Kids. 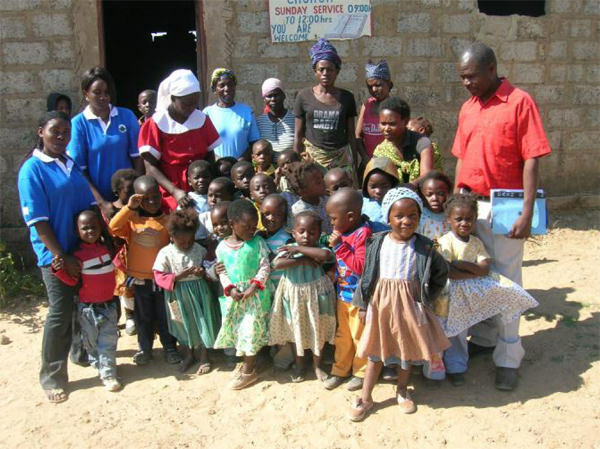 Our commitment to the orphans we support in Zambia is long-term. Our vision is of Zambia as a country in which every child is educated, and grows up to lead a self-reliant, healthy, fulfilling life and play an integral part in Zambia's development. The evidence base to support investment in early childhood development education is growing, particularly for children made vulnerable by poverty and HIV. The Brill Kids supplies have provided caregivers, Founding Futures Group Leaders and teachers with a step by step guide through the establishment of an early childhood development curriculum, providing a firm foundation for the roll out of the program. Please stay in touch with the progress of this project on www.cecilysfund.org and thanks again for your support.